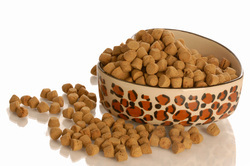 Email Nutrition Reviews with Diet Analysis are available in our dog fitness and rehab store. Please note that the diet analysis does not include homemade foods or raw diets and that a custom meal plan or specific food cannot be provided. If a custom meal plan is desired then please review our Custom Fitness Program. For those pet parents seeking more information on their dog's specific nutrition and fitness, a full fitness and nutrition assessment is ideal. The full fitness assessment allows Dr. Sonnet to determine your dog's level of health and fitness. After evaluating your dog's general condition and fitness measurements, Dr. Sonnet will make recommendations for diet and exercise, including designing a home exercise program just for your dog! For those pet parents also seeking one-on-one guidance for their pet's fitness program, please review the Custom Fitness Program. 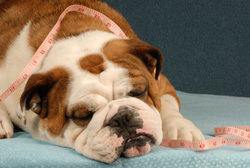 Let us design and equip your dog's private in-home gym and create a custom workout plan! Have your dog workout any time, any day according to your schedule! We carry top-of-the-line canine fitness equipment from FitPAWS to meet your dog's needs. Full Fitness and Nutrition Assessment or participation in a Custom Fitness Program is required in order to provide customized equipment and design a safe and effective exercise plan for use in your dog's Home Gym. 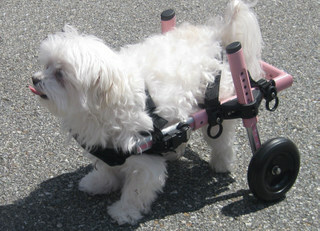 To purchase exercise equipment separately please see our dog fitness and rehab store. Call 480-285-9848 now to help your dog live longer through improved fitness in the Custom Fitness Program! care, using the FitPAWS brand canine exercise equipment and the DogTread canine treadmill. Each session will include warm-up, stretching, core stability exercises, and strengthening and endurance activities based on your dog’s current level of fitness and the desired goals. Get all your exercise and nutrition questions answered promptly with online access via email to Dr. Sonnet as long as your dog participates in the custom fitness program. general weakness/ "out of shape"